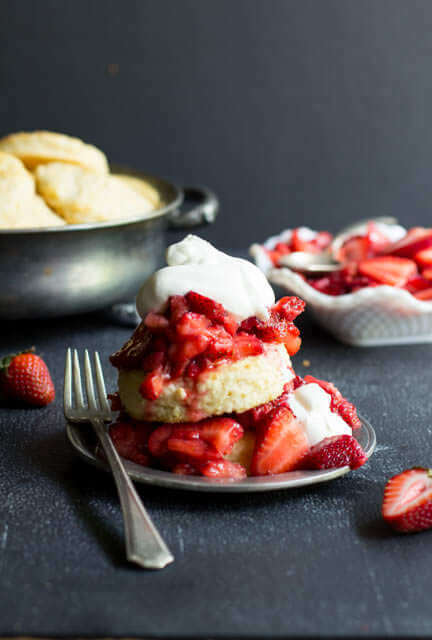 Have we ever talked about my love for strawberry shortcake? 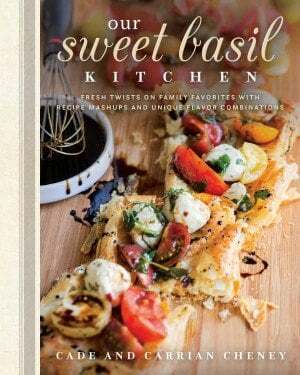 Our Sweet Basil Kitchen Cookbook has this recipe and our lemon strawberry shortcake. I love it that much I had to have two recipes in it, haha. So if that isn’t a hint enough to try it, TRY IT. But then I made this. Have mercy!! 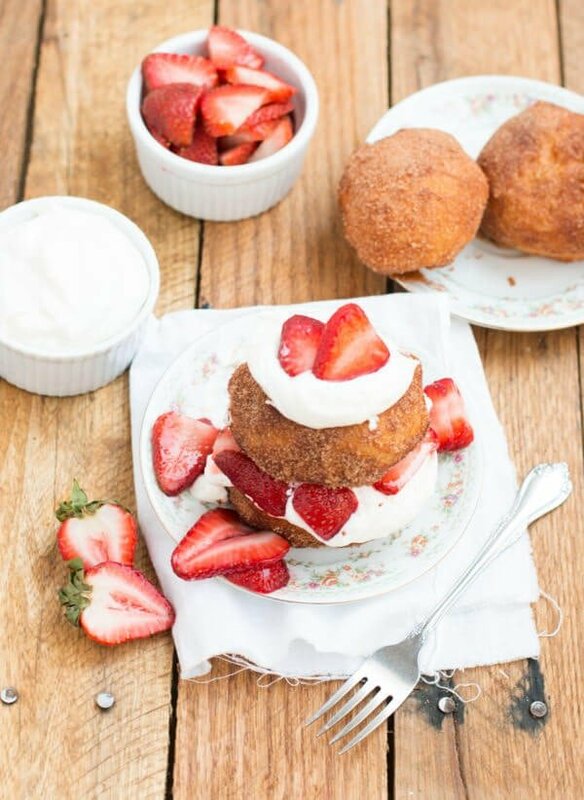 Fried strawberry shortcake is like the best day of your life, your first kiss, your wedding day and holding your first child for the first time (not the pregnancy or birth because heaven knows those aren’t easy) all wrapped into one. 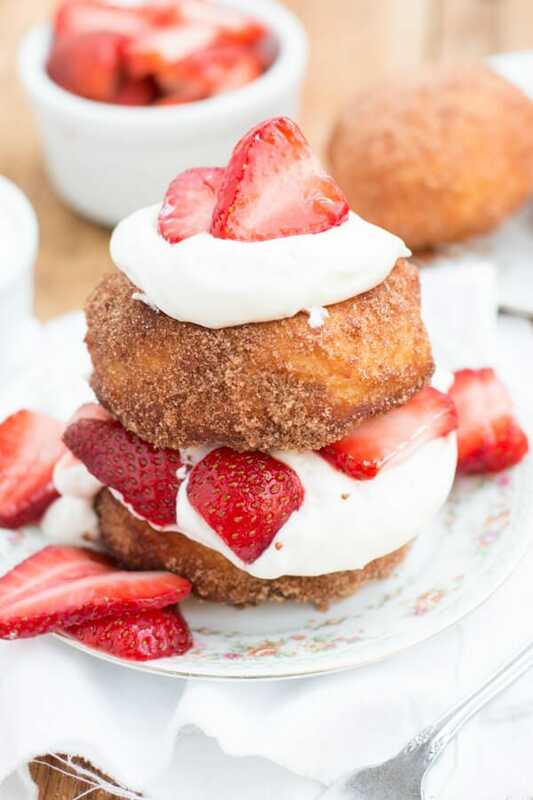 You guys, it’s DEEP FRIED STRAWBERRY SHORTCAKES. Enough said? There’s no one oil that’s best for deep-frying, although vegetable, canola, sunflower and rice bran oil are all good, as they can be heated to high temperatures without burning. Their neutral flavours also won’t affect the taste of the food. 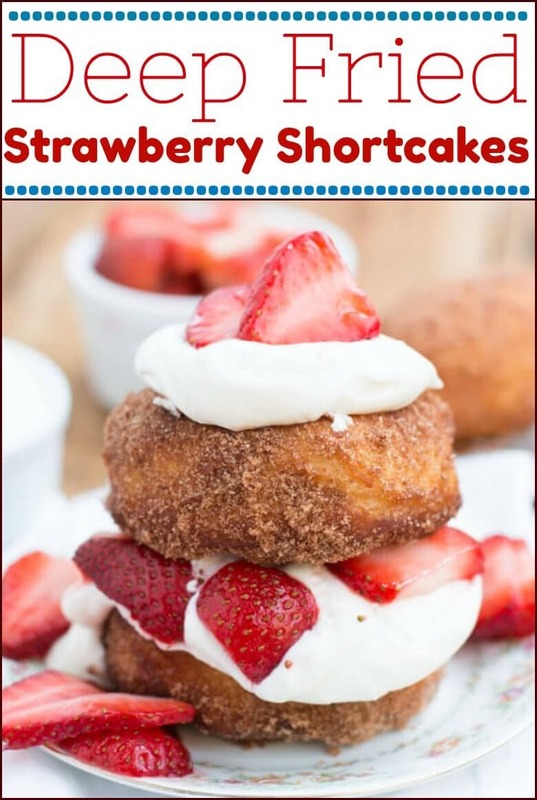 Anyway, I told you in that post how Mom would make us strawberry shortcake with fresh berries and those little, round shortcakes (remember how they would leave a little cake on the cardboard and you could scrape it off and lick your fingers? ), but did I tell you about the rest of the meal? Mom is a total sucker for fried chicken. Often we would go to the grocery store and they would be pumping out that fried chicken smell. We’d make it clear to the front door and then she would say, fried chicken and strawberry shortcake for dinner? If only you could have seen our faces. HECK YES! 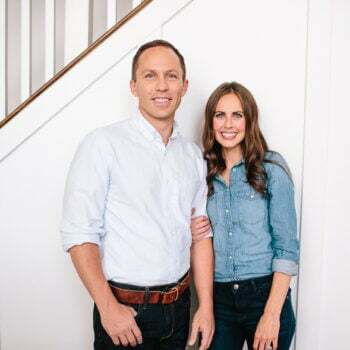 It didn’t happen very often but when it was a go we were the best behaved kids ever through that entire grocery shopping trip just to make sure we wouldn’t risk her changing her mind. And yes, it was grocery store fried chicken, but back then it was seen as awesome that places were trying to help moms get dinner on the table and not at all gross that it was probably frozen fried chicken reheated. And now I’m suddenly homesick for a warm summer day, a huge backyard to put out dinner on picnic tables and my family chowing down on fried chicken and strawberry shortcake. Looks like I know what I’m making on Sunday for dinner! It may be hard or confusing to figure out which fruits and vegetables are safe for your dog (here’s a hint: grapes and raisins are on the no-no list), but there is a warm weather favorite that you can give your dog,STRAWBERRIES! However you should not feed your dog canned or strawberries in syrup. 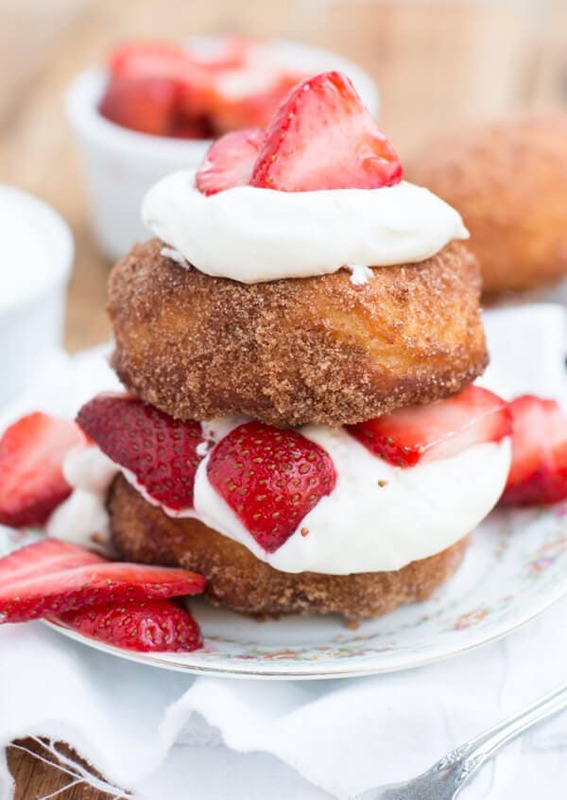 This recipe uses canned biscuits made into deep fried donuts. 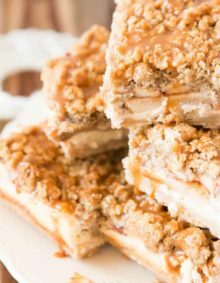 You can use the flaky layers or southern, both work fine but the layers puff up the most. If you’re nervous about the centers being done, no worries, just cut out the donut holes like you would in a regular donut. I wont keep you any longer but make sure you take a minute to read our secret on the strawberries. It’s one simple thing that really does make for an extra delicious dessert. We chat about it in our Fool Proof Angel Food Cake recipe. Heat a large dutch oven over medium heat filled 1/3 full of oil. Separate the 8 biscuits again making 16. Add the strawberries and sugar into a dish, stir and set aside. Read more in our fool proof angel food cake post. Drop in a couple of biscuits at a time, frying for about 30-60 seconds, turning once, then remove to a paper towel lined plate. 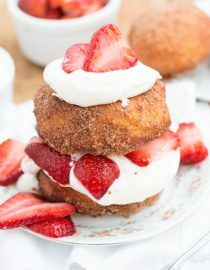 Place the cinnamon sugar in a dish and while the fried dough is still warm, roll in the cinnamon sugar. Meanwhile, whisk (or I use our kitchenaid whisk attachment) the cream until soft peaks form, add the powdered sugar and whisk until stiff peaks form. To assemble, top the cinnamon sugar biscuit with whipped cream and berries, or double decker it as shown in the photo. Another made a chocolate covered strawberry shortcake. Again, jealous. The “extras” got devoured with just cinnamon and sugar. Leftovers? Not a chance! Yessss! This just makes us so happy! Way to go on getting creative on the toppings! Fried dough can be topped with just about anything and be delicious, lets be honest! I made this and my entire family loved it! I switched the strawberry with Nutella for one picky kid and he still loved it. Love your blog! Oh I’ve got one of those in my house as well, haha. Thanks! Yum! Reminds me of the corn fritter shortcakes I made. I like how you think! This sounds like the best strawberry shortcake ever!!! Carrian, get out of here with this deliciousness! This sounds amazing!! I am sold! This looks like a total crowd pleaser. I love strawberry almost anything. And TS brought me to your blog btw. I love the name of it…basil is one of my favorite herbs! I love! Isn’t it so fresh and wonderful? Love me some basil! 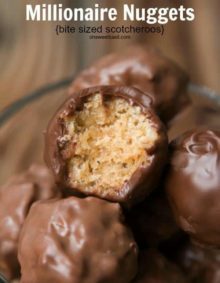 I just made these tonight. Fantastic! Delicious! Best strawberry shortcake I have ever tasted! YAY!!! Thank you so much for taking the time to comment, Mike! So happy that you liked them! OMW !!!!!!!!!!!!!!!!!!!! 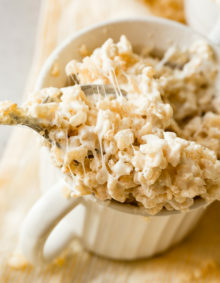 I have just got to make this this week !!!!!!!!!!!! wow this takes strawberry shortcake to another level! FRIED?! *faints* Count me in! So creative and so delicious! Thanks girl! We love any strawberry shortcake! The greatest thing I have seen all day, love that this is fried!!! Fried food is so hard for me to resist! We hardly make it but when we do we go all out!